Located near Washington DC, we are a direct importer of freshwater tropical fish wholesale and have supplied wholesale tropical fish to pet stores in the United States for over 25 years. In this article we will highlight some of the harder to find, rarer species and popular fish from Indonesia, thereby offering the fish at a much cheaper price. Indonesia is our main source country for wild caught Clown Loaches. 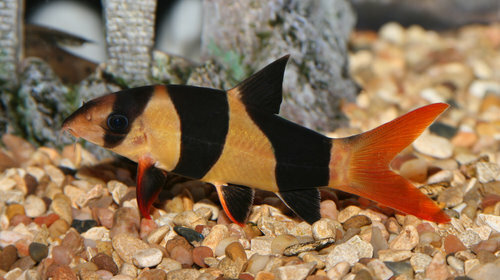 No other country in the world offers Clown Loaches as cheap as Indonesia. 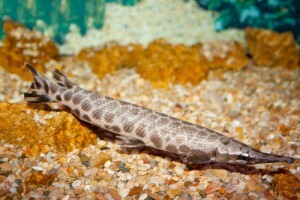 Indonesia also breeds Gar Fish. They currently offer us 3 species… the maculata, the oculata, and the hujeta. 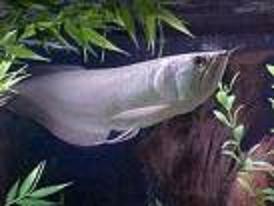 Indonesia also breeds the Silver and Pearl Arowana so that we can offer these year round . 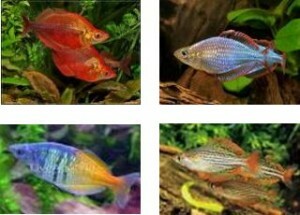 . .
Another ‘Source Fish’ we acquire from Indonesia is the family of Rainbow Fish. Indonesia boasts 21 species on their price list. Many Asian countries offer some Freshwater Shrimp specie, but Indonesia offers us more specie than all other countries AND does a better job shipping them to us. There are 27 specie total on their list . . .